While Campaign is celebrating the past 50 years of advertising, the industry has a long and colourful history in the UK, stretching back to the coffee houses of the 18th century. Campaign is casting an eye over the past five decades in advertising as it celebrates it fiftieth anniversary this year. You’d be forgiven for thinking this industry wasn’t much older than the magazine that’s been charting its ups and downs since 1968. Many assume ad agencies as we know them only really came into existence in the "Mad Men" era. But ad agencies in this country can be traced back through to the coffee houses of the 18th century. In the late 1700s, coffee house owners would buy newspapers which would attract crowds of people wanting to read them. Like today’s co-working spaces, such as WeWork, these coffee houses became hubs of innovation and debate as people gathered for their caffeine and news fix. Merchants and traders who came to the coffee shops also circulated their ads there and these coffee shops eventually give rise to the earliest ad agencies. One of the country’s oldest ad agencies, Samuel Deacon & Co, which started up in 1821, grew out of the Colonial Coffeehouse. For all our claims of reinvention, not that much has changed in this industry over the centuries - and there is plenty in advertising’s dim and distant past that can still inspire today. Some creatives working nowadays might behave as if they invented experiential marketing, but this form of advertising has been around for hundreds of years. One of its first proponents was tea magnate and grocery store owner Thomas Lipton, who masterminded some legendary publicity stunts, including getting a newly married couple to live in his shop window for a couple of days; printing fake pound notes to be spent in his stores; and displaying a sculpture of an ocean liner made entirely of butter in his shop window. He also courted controversy by releasing pigs into the streets of Glasgow with the message "home-fed and bound for Liptons" painted on them to promote the freshness of his bacon. The Bovril Company, which supplied Bovril to the troops during the Boer War, scored a marketing coup by providing the public with the most up-to-date dispatches from the Boer War, beating the national press to the latest news. 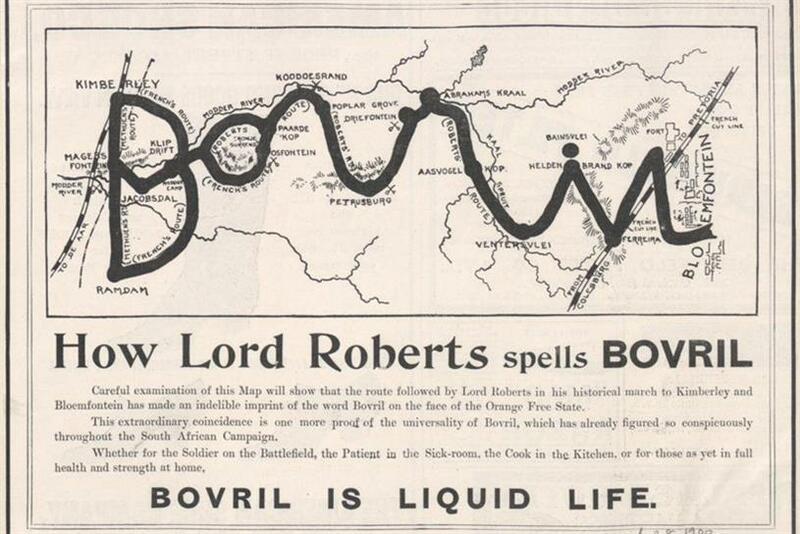 Bovril also had the brazenness to have the pope front a campaign in the early 1900s. The ad showed the Pope sitting on his throne with a mug of Bovril, accompanied by the slogan: "The two infallible powers – the Pope and Bovril". Outdoor advertising rarely stops traffic in 2018, but this wasn’t the case in the Victorian era. Brands like Cadbury’s and Beechams commissioned hand-painted tableaus on glass slides to be shown at the popular magic lantern shows (which were precursors to the cinema). These slides could slip in front of one another to give the illusion of movement. Clockwork street lanterns also projected advertising slides in succession to dazzle passers by. In fact, the newspaper The Globe reported in 1876 that traffic in the Strand in London was brought to a standstill by "a gratuitous exhibition of dissolving views [giving] advice as to the best sewing machine, the cheapest hatter, where to dine, and the most popular newsagent." The level of craft, invention and derring-do behind these early ad campaigns could put some of today’s creative and strategic thinking to shame. While there are, of course, many more restrictions placed on advertising nowadays compared with the time of Bovril’s news dispatches, we arguably have it much easier because of the vast infrastructure that now exists around advertising and communications. Despite the advances made since since the 1700s some fundamentals remain. If the work is exciting, inventive and ambitious enough, it will captivate and delight people, no matter what the era or how sophisticated the audience is. That’s a point worth remembering as we look to secure our industry’s place in the world in the future.